It’s been a while since we last heard from Wheelsandmore. Actually, it’s been too long. But the German tuner knows how to make a comeback. Each and every time Wheelsandmore builds a program, you can count on it being comprehensive. The only thing different about this program is that it’s not limited to just one unit, but three; three Ferraris, to be exact. The Ferrari F12berlinetta, the Ferrari FF, and the Ferrari California are all part of the tuner’s new "La Famiglia" program and all received the same tender, love, and care from Wheelsandmore, the kind that we’ve all come to know from the German company. Each Ferrari received a new set of wheels, obviously, and modest performance gains. A handful of cosmetic upgrades were also given to the three Ferraris, although you’d be hard-pressed to notice them outside of the traditional Wheelsandmore decal that runs along the length of each Ferrari. 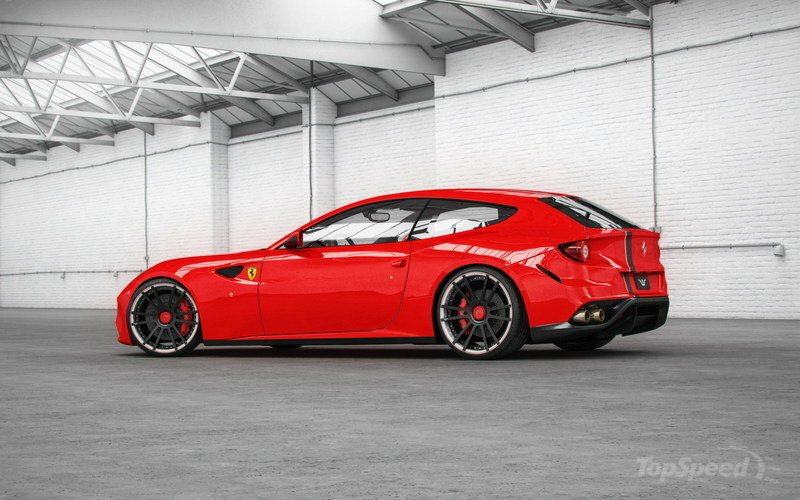 Take a good, long look at these new Ferrari programs from Wheelsandmore. All three share the undeniable character and flair of the German aftermarket company, right down to the gnarly set of wheels and those subtle performance improvements. Welcome back, Wheelsandmore. We missed you. Click past the jump to read more about the Ferrari Collection "La Famiglia" by Wheelsandmore. We get the ball rolling with the Ferrari F12berlinetta, the biggest and meanest Ferrari not named the LaFerrari. 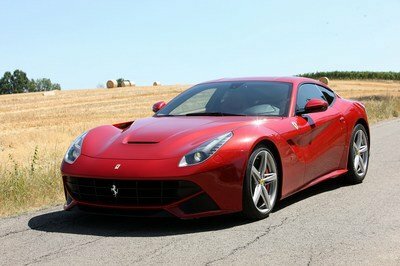 Of the three Ferraris, the F12berlinetta received the nicest finish. 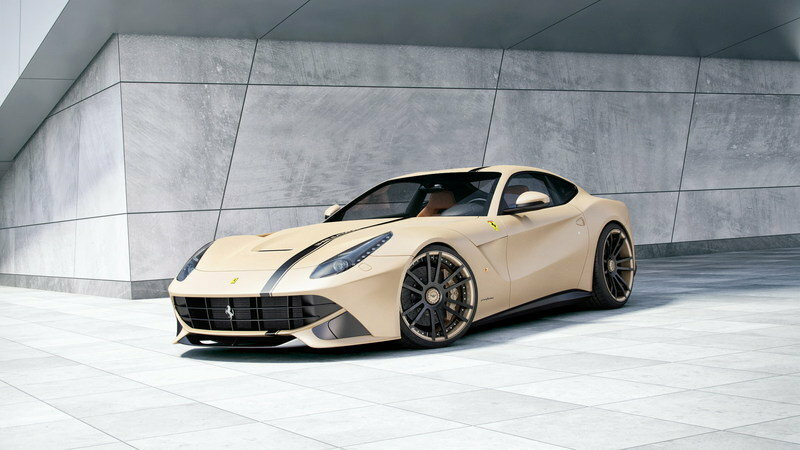 I’m not to sure what to make of the actual finish, but it looks like an unpolished gold that’s starkly different from the color options Ferrari has for the F12. Moving on to the wheels, Wheelsandmore gave the supercar a set of customized, 21-inch F.I.W.E. forged wheels wrapped in Continental tires. Look a little closer and you’ll also notice that the outside rims and center locking optics were given the same color finish as the body. Finally, Wheelsandmore installed a new handmade exhaust system to go with an adapted control electronics, bumping the output up to 785 horsepower and 538 pound-feet of torque. That’s a step up from the 740-horsepower and 508-pound-feet of torque output coming out of the F12’s 6.3-liter, V-12 engine. No performance numbers were given, but we do expect the F12 to now cover 0 to 60 mph in under three seconds to go with a top speed of 217 mph. Moving on, we find ourselves in the presence of the California, Ferrari’s previous entry-level model that has since been replaced buy the California T.
Wheelsandmore dressed it up in white, which isn’t as flashy as the F12berlinetta, but still evokes that clean Prancing Horse look. Like the F12, the California also received a set of 21-inch F.I.W.E. wheels, this time wrapped in Hankook S1 Evo tires. Under its hood, Wheelsandmore gave the California’s 4.3-liter, V-8 engine a new software unit, bumping up the convertible’s output to a modest 510 horsepower and 405 pound-feet of torque. 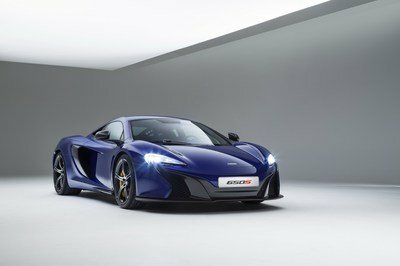 That should be enough to slash the California’s 0-to-60-mph time from 3.8 seconds to somewhere around 3.6 seconds to go with a top speed of around 195 mph. 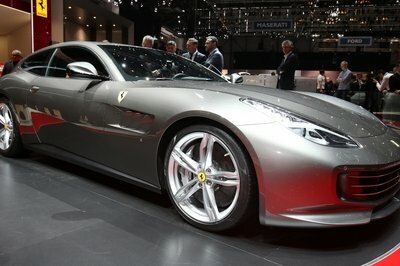 Last but certainly not least is Ferrari’s resident sportback supercar, the FF. It’s aesthetically the closest of all the three Ferraris largely due to Wheelsandmore keeping its iconic Maranello Red finish. 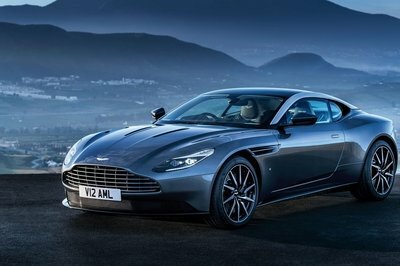 But other than that, there are a slew of modifications given to the FF, beginning with a set of 21-inch F.I.W.E. wheels wrapped in Pirelli tires. The FF isn’t as powerful as the F12berlinetta, but Wheelsandmore doesn’t play favorites. 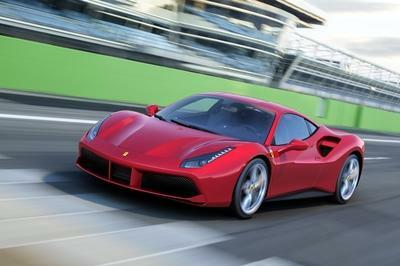 It also gave the FF’s 6.3-liter V-12 engine a meaty performance upgrade. 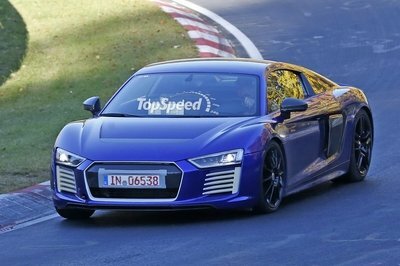 The standard FF generates 660 horsepower and 503 pound-feet of torque. Thanks to Wheelsandmore’s tuning, output is now at 690 horsepower and 526 pound-feet of torque. If we had to estimate the performance numbers of this FF we would say the sprint from 0 to 60 mph takes just 3.4 seconds and it tops out at about 212 mph. After prototype development of the new concave forged wheel F.I.W.E. 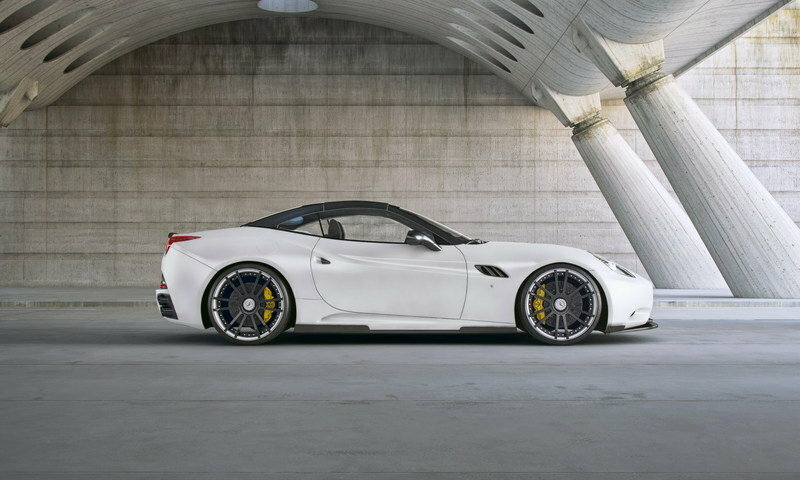 was completed, Wheelsandmore presents those lightweight wheel models on three current models of the Ferrari collection. Ferrari F12 with an opulent wheel and tire conversion on individualized F.I.W.E. forged wheels, on the front axle with 265/30/21 tires mounted on 9,5x21 inch rims and on the rear axle with maximum 335/25/22 Continental tires, mounted on 12,5x22 inches wide rims. The center locking optics and outside rims were color matched to the color of the car wrapping. By using a handmade exhaust system in combination with an adapted control electronics finally 785 hp and 730 nm were generated. Ferrari FF, also with maximum wheel and tire combination, with 9,5x21 inch F.I.W.E. rims and 255/30/21 inch tires on the steering axle and 12,0x22 inch forged wheels with 315/25/22 Pirelli tires on the rear axle. In this case all rims were adapted to customer options and combined with the overall concept tastefully. The less powerful four-wheel driven FF got a handcrafted exhaustsystem by Wheelsandmore with valve flaps and software optimization as well, resulting in a delicate power upgrade with additional 40 horsepower and 30nm additional torque. 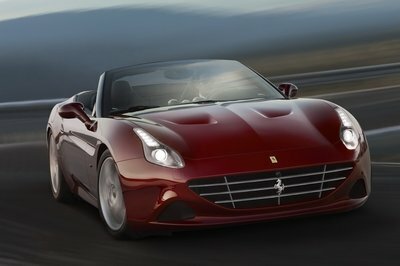 The Ferrari California is a bit more cautious about the overall performance because the V8 suction unit provides fewer opportunities for performance improvement through the use of software and exhaust systems to the German tuner opposed to the current California T. With finally 510 hp and 550 NM the only convertible model from the current Ferrari portfolio also knows to convince and wears also the ultralight forged Fiwe wheels sizing 9,0x21 and 12,5x21 inch with 245/30/21 and 345/25/21 Hankook S1 Evo tires.